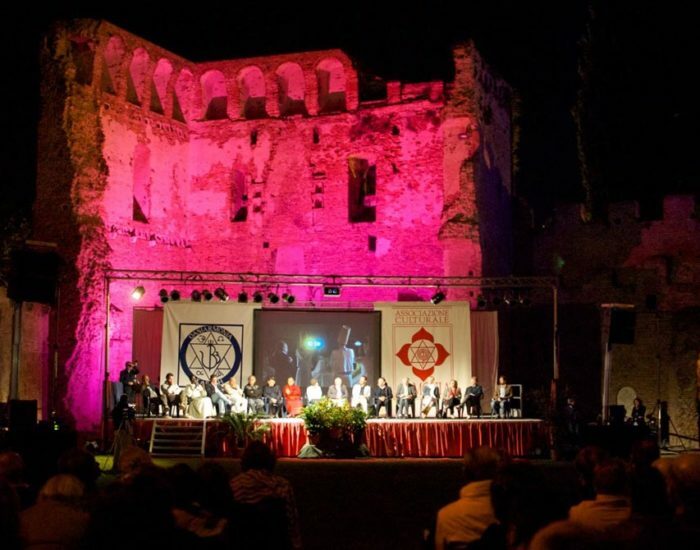 September 13th 2013; for the first time since the foundation of Harmony association in 1981, the Mayor of Noale invited the Master Mario Attombri to organize and conduct a public evening event dedicated To World Peace. 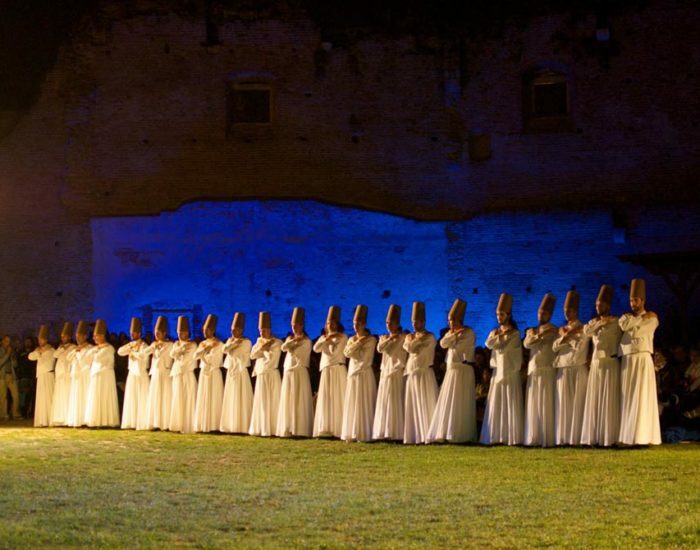 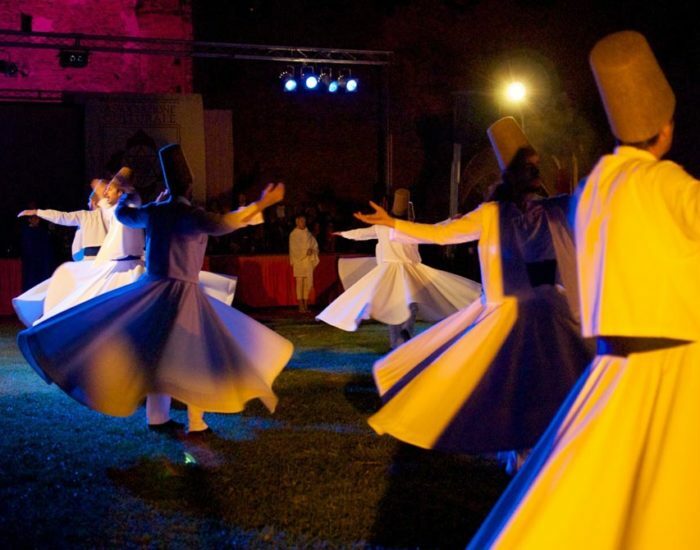 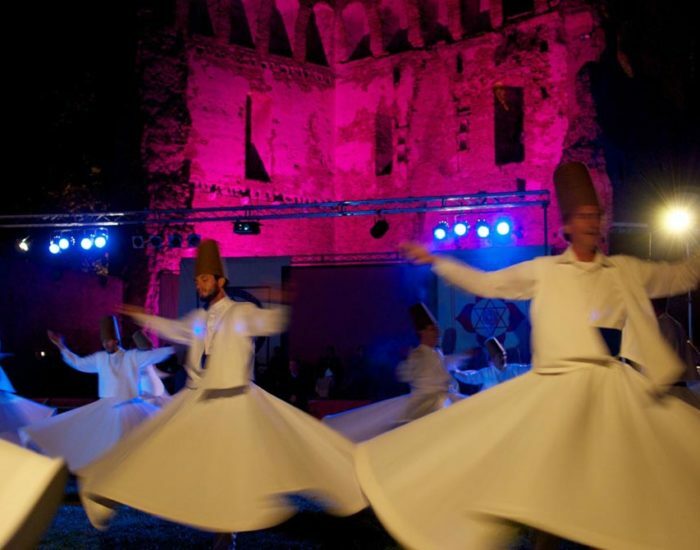 During this evening took place the celebration of the Semâ Dance of the Islamic mystic Dervishes inside the ancient fortress “Rocca dei Tempesta” located in the very center of the venetian town. 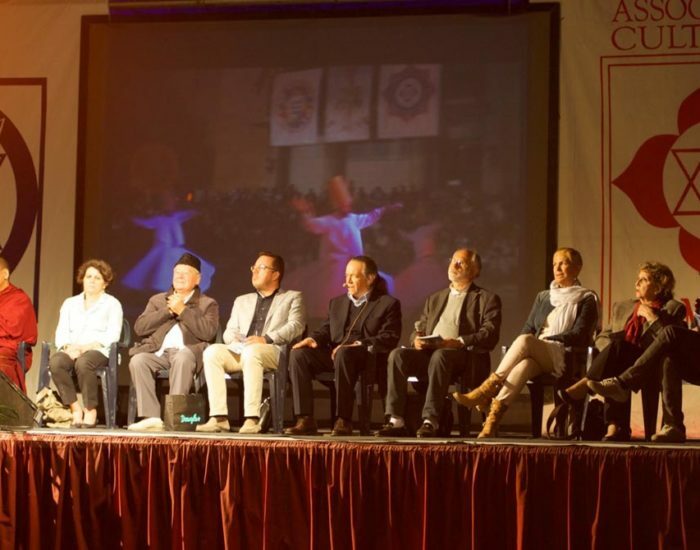 Many important people attended to this event: Don Sergio Mercanzin , director of “Russia Ecumenica” Center in Rome, who read the message of greetings from the Italian Minister for the social integration Cécile Kyenge; Father Giuseppe di Gennaro, a Jesuit scholar of the Spanish mystic; Modou Diop, president of the Venetian Senegalese community; the Venerable Sogan Rimpoche, a close associate of the Dalai Lama; the Head of “Culture of Differences Dept.” of Venice city Tiziana Agostini, who remembered the invocation for peace contained in the ancient banner of the “Serenissima Republic of Venice”; Mr. Oscar Rivero, former consul of “Embassy of Bolivia” in Rome and an expert on Andean culture. 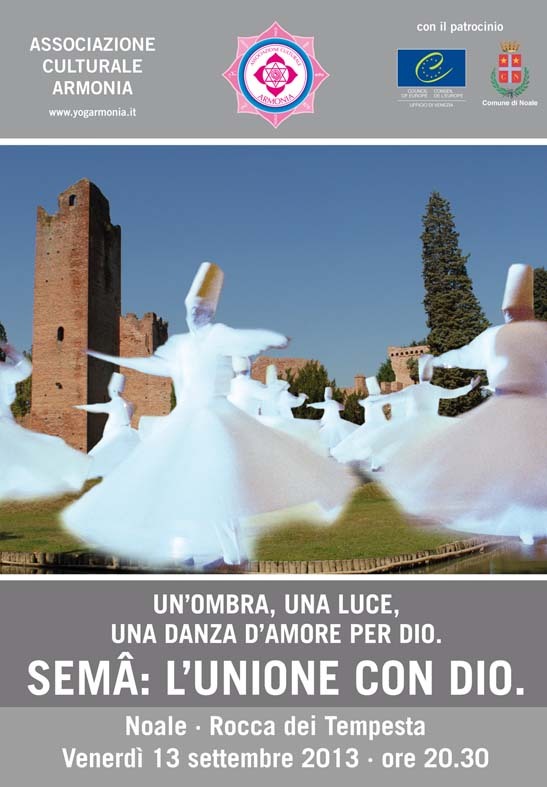 The fortress of Noale was built in the twelfth century as a shield against the “foreigner”/ the enemy and was thus a symbol of warrior strength. 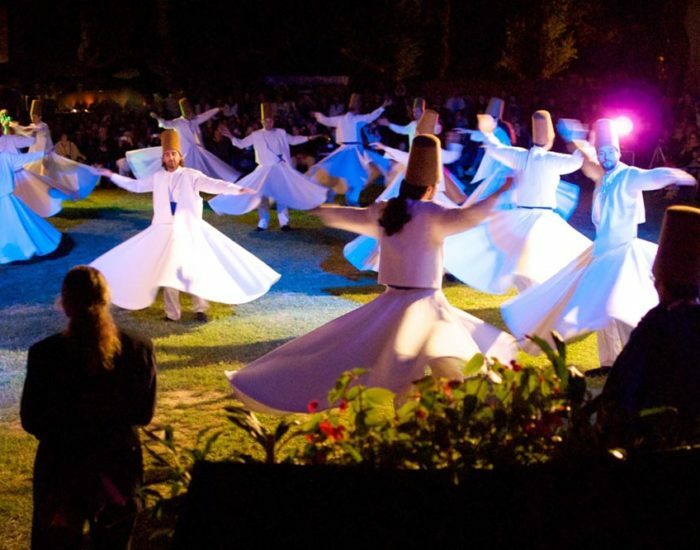 It was transformed by this event, thanks to the vision of Mayor Michael Celeghin, in a place of meeting and peaceful cultural exchange dedicated to prayer singing, music and dance the three forms of self-expression that human beings regardless of cultural differences share since the dawn of times. 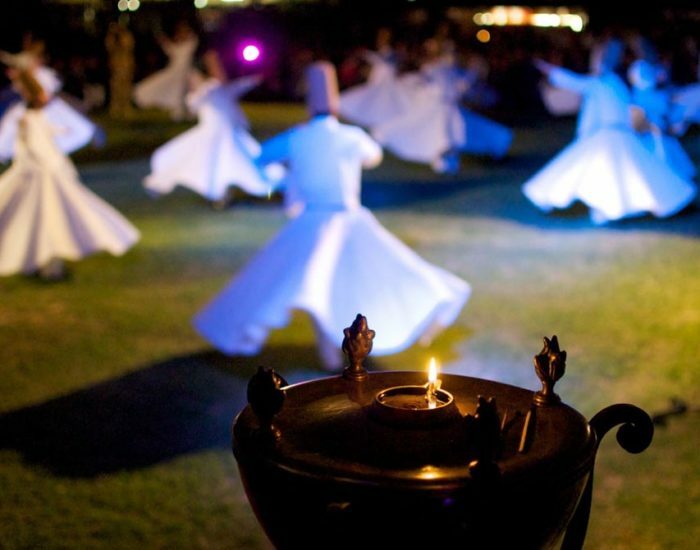 Births, deaths, consecrations, weddings: all the most important events of humans are characterized by chanted rituals, music and dances. 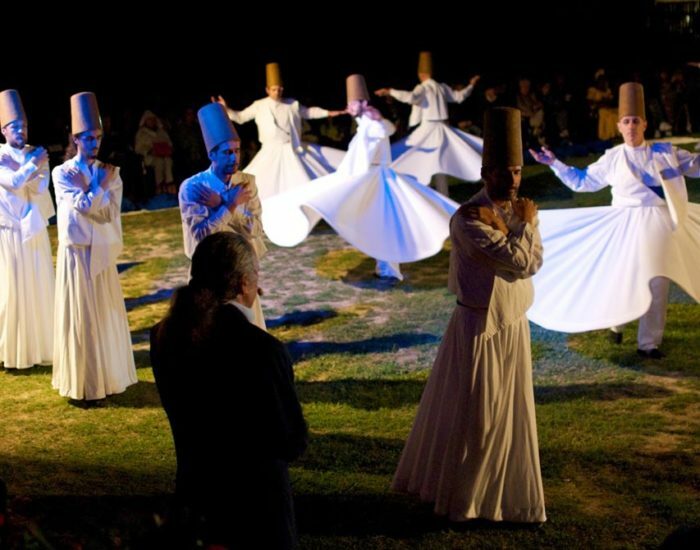 The Semâ, the dance of the Sufi mystics, the “fools of God”, has got all these three and thus leads people to participate and penetrate the rhythm, sound and movement of the whole creation, helping them to experience that primordial harmony which is usually misconceived as external and bringing back them to the Inner Peace.